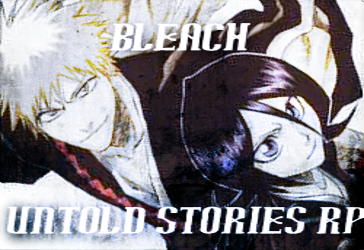 Untold Stories is a fairly active Bleach RPG with many nice members, excellent staff, a good plot, lots of canon spots available and a site that will grow even more in time. So please, join this site and become apart of our awesome family! The ho'hum feeling of life has overcome the chaotic style of living that was active around Earth after the larger-then-life battle with Lord Ender; Which revealed the existence of Shinigami, Hollows and even demons. The madness which had happened in Japan had spread like a virus all throughout the world. Luckily, though, before the insanity could even reach a high level; The Soul Society sent out many diplomatic figures throughout the world of the living. Each of these diplomatic people were sent out to calm the public, work with local and national governments, stop riots from taking place and to stop any human from foolishly going after a shinigami, hollow or demon. Eventually, the world simply got use to the existence of these creatures and let their governments, along with the Gotei 13, handle these things. Of course their were a number of organizations who were against this and had their own dark agenda, but the Governments of the world would stop these people easily with the help of shinigami. Yes, yes. The normal way of life would prevail eventually. The only difference now is that humans were more aware of their surroundings and more cautious of these beings. There are still many battles to be fought, many people to be killed, many lifes to be forever changed. It may be peaceful for the moment, but all of this will soon change. Kin Iramasha, founder and leader of the Kokuryuteshi, intends to start a war with the Soul Society. First, they will gather enough members in their army to fight against The Iramasha on Iramasha Island. Their forces will be great and in many numbers, that's when the Iramasha will upon the Gotei 13, The Suigara clan and the Karakura Defenders for assistance with this threat. That's when the mother of all brawls will happen upon Iramasha Island and throughout the Soul Society since the Gotei 13 believes Kin and his followers are too much of threat and need to die. He also intends to convert everyone to his army either by force or a mass version of Chaos Soul; killing anyone resisting his will. After that, he intends to wipe out the Soul Society, Earth, Demon World and Hueco Mundo. Once that is completed he will have his armies rebuild the worlds in his own image. But that's not the worse of it. He's also aiming to destroy other worlds, galaxies, universes and even Alternative Dimensions in order to spread his army even further and give everyone in power their own world. He and Andrei, Commander of military Operations and Kin's right hand man, have also been experimenting on creating their own realms and planets as well just incase they have to destroy everything. But Andrei simply wants to destroy everything, unlike Kin. Which is where problems will arise later on as well. Sensing the tension in the Soul Society, Demons will begin to strike Earth and Hueco Mundo. Hueco Mundo will be a secondary target due them needing more space to house their expanding race. However, the main reason they are invading Earth is to un-seal their King, Touketsu, from the body of Ketsu and free his pets; Oni Chiita, Kutogatshi annd many others selaed inside Ziamichi's. However, there is a reason why he is still the king of demon world even though he is sealed. He's promised the Demons Immortal life after the eradication of all over beings on Earth. How would he do this? Well, he knows for certain that death has a physical body now and knows how to tap into that power. There are TRILLIONS of souls just waiting to be free'd or used in the wrong way inside of this mother fucker. Although it isn't anything like a human, hollow, demon or any type of body we know. And only Touketsu knows where it is sealed. Touketsu was also once apart of Death as well. He wanted to see what it was like to tap into that power thousands of years ago. ...and even he said it was too much for him to do. The agony, insaity and depersation of those souls were so intense it nearly drove him to insanity from their sheer will. 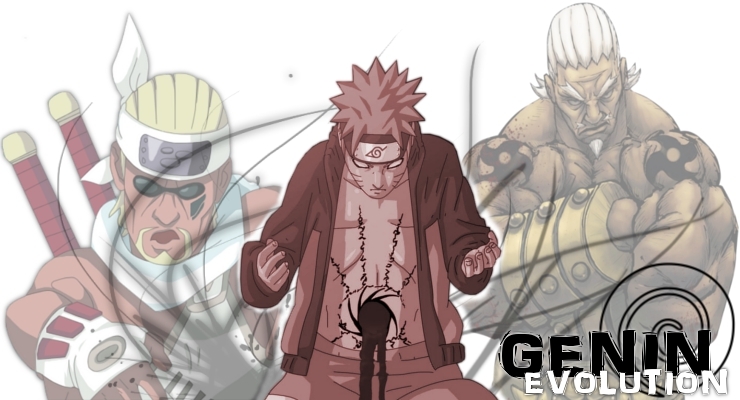 He would have to come back when he was stronger. From all sides, it seems Earth is racing towards a destation with death.